Louise’s Story is a video produced by NHS England as part of their Transforming Care series. In the video you hear from Louise, and those who helped make her dream of moving home after spending over 15 years in hospital, a reality. Louise’s story captures how hospitals are not homes, and Transforming Care is working to change the lives of people with learning disabilities, autism or both, for the better. 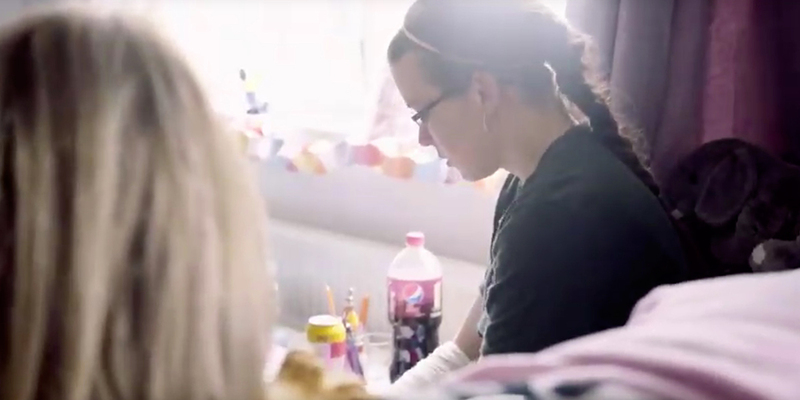 This short film explains how health and social care partners planned for and successfully moved Louise into her own home in spite of seemingly insurmountable barriers. They achieved this through strong partnership working, good communication, flexibility and determination, and the film highlights the impact of these qualities on Louise’s wellbeing, while also celebrating the tenacity and creativity of those seeking to bring her home. Beyond Limits purchased the property, but importantly, Louise’s tenancy is protected because the house was handed over to a housing association. This means that if Louise wants to change her support provider, she can do so and still remain in her home. To find out more about the Transforming Care Programme visit NHS England’s website.